1) Lisa Profumo (Scemema)... who hid the Wilkins molestation incidents from the entire school, ignored mandated reporting laws and put the school in severe legal jeopardy. She's lying whenever her lips move. 2) Liis Edwards... Check out letters from Highland Hall on this blog for her signature. She was involved in MANY cover-ups at Highland Hall. 3) Alex Houghton... a former friend and former Waldorf teacher - he once pretended outrage at what was going on at Highland Hall and promised to reform Waldorf through WISC... he's now silent as WISC continues to employ the very WORST teachers Waldorf has to offer. He is influencing Waldorf boards across the country... sadly. Westside Waldorf just might be the worse school in Los Angeles, (private, public, or otherwise). 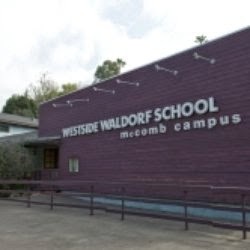 This school hires incompetent teachers; has a cramped, dirty campus; tolerates bullying on every level; and is governed by a cult very much like Scientology (please check out http://www.waldorfwatch.…). We gave our son a few years there, and we finally pulled him due to the school's utter lack of any kind of academic standards or principals, and their arrogance when you try to speak to them about it. In addition to having absolutely no decent sports program, they also do not have a library, a real playground (kids play in the parking lot), and no true arts program, something they boast as part of their curriculum. It's literally just a bunch of rooms where dreamy teachers teach a watered-down version of learning. This school is in business because they take any family who is not able to get into any other school in town. Wish I could give them ZERO STARS !!! I had an ABSOLUTELY AWFUL experience !! This used to be a super sweet school with lots of nice people, but when I returned after attending a different school for four years, this place has turned into a nightmare !!! My problems started at Westside after I was there Five years and they made the wrong choice in first grade teachers. I was in a class where the teacher would walk kids up to the front and hit them (not me). The school didn't believe us so we left, but about six months later they eventually fired him. My teacher was totally incapable of teaching middle school, and when she felt that you were starting to figure that out she would humiliate you saying you knew too much, or try to give you a lecture on how drops of water are not the same as water drops. One time I was wearing clear nailpolish, and they made me take it off in front of the head of school, while she gave me a lecture on how it is harming the imaginations of the younger children. The ironic part is the second graders were wearing green nailpolish, and yet they were not made to take it off. Another time I was trying to help my friend with there school work and my teacher said infront of both of us, " Why are you wasting your time on them, they will never get how to do that. " And one other time she publicly called me the worst drawer in the class. The wood work teacher and a few others are the only great teachers left, most have left over the past year. It is just all very sad because I once considered this place my home. Everything is kept confidential and the administrators lack the skill of problem solving. They have this slip policy that literally threatens the students so that they are afraid to speak up if anything unfair happens. Not very Waldorf at all !!!! My advice to you is that if you want a caring, positive waldorf experience for your child pick a different waldorf school, that is better if it is not in Southern California !!! Hmm, I posted my review yesterday and it disappeared.Here it is again. if your goal is to have a child who can't spell and is bad at math go to Waldorf! It's ok for most of the students there, since at least half of the kids there will end up being trust fund babies and will never have to worry about spelling or math. And some of the grade teachers can not spell either. Also, when they say they don't want you to expose your children to media, they only say that, in reality everybody watches tv, plays video games etc. The most hypocritical bunch of parents I've ever seen. Also, they deny that bullying exists at the school but meanwhile plenty of children are really mean to each other and LOVE to single out one kid and pick on him/her. Mine wasn't one of the kids that got picked on but to watch it happen to others and hear everybody deny it is depressing. I think they bully each other because they are bored out of their minds for most part. My child is now at a public school and it is as if a whole world of knowledge just opened up in front of her. Administration at this school is also horrible. You will never hear a straight answer out of them. Same goes for board of trustees. The school used to be a treasure. But since 2005 all the best grade teachers have left the school. Excellent subject teachers(woodwork, Japanese, music) remain. "Mom, I felt invisible. My teacher was mean. She ignored me." And that is the surface of what our child revealed to us after this year at Westside Waldorf School. The remainder of our child's experience must be kept private to protect our child. Despite the classroom main lesson teacher's efforts to blame and label our child with a handful of "problems" rather than do her job and actually teach our child and meet our child's needs we had our child assessed. Our child passed the assessment and tested above grade level. We removed our child from a very deceptive, toxic, and harmful environment. We would not recommend Westside Waldorf School to anyone. Nor Waldorf Education at all. AirSchoolTv - Experience based interactive educational programs, developing emotional intelligence, social interaction and real life skills. World`s First COLEARNING SPACE. Creating the school of the future based on technology, communication and collaboration.